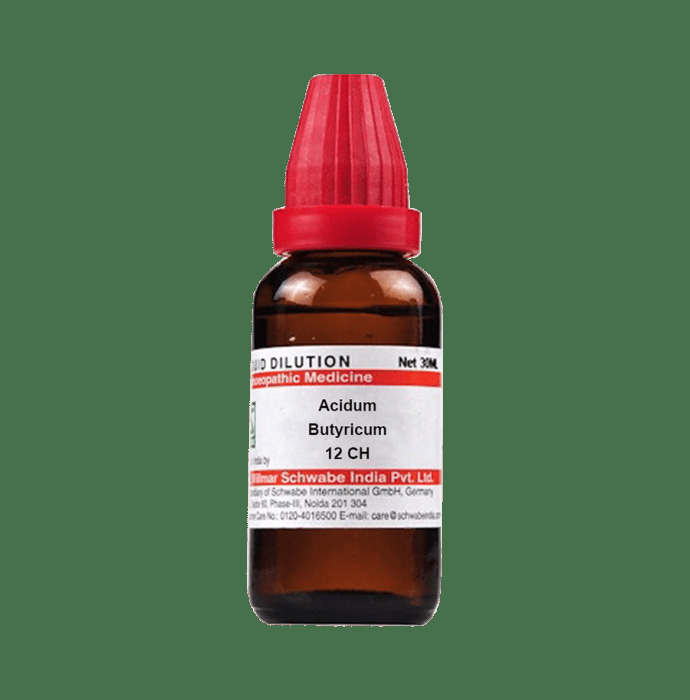 Dr Willmar Schwabe India Acidum Butyricum Dilution is an effective remedy for treating headaches that are caused due to over thinking about trifle issues. A dilution that relieves one of stomach pain which is unique as the intensity increases during the night only. It also treats cramps in the abdomen below the umbilicus. Further, you may consume this even when you want to get relived from sleeplessness. Sometimes, due to various reasons one dreams about intense issues, which is also curable through the directed dosage. Excessive sweat on the feet and otherwise without much physical activity is also a sign that you may need this medicine.